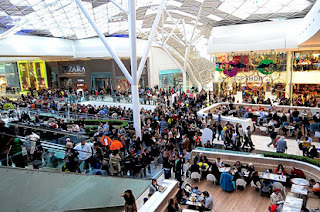 Curiouser and Curiouser...: Christmas shopping - love it or loathe it? love the purple shorts x hivennn. I haven't done any yet, whoops! loving the cardigan on the left (bottom row) where is it from?! i need it! You're making me want to go shopping....haha. I haven't started shopping, but I probably should! Great post + blog. Following, hope you will do the same! LOVE IT! It does get frustrating, but I love shopping when everyone is out and happy! Besides, the lights everywhere makes shopping that much better. PS The first pair of shorts are fabulous!! ahhh, love the coat, where is it from? also, the dress you asked about is from forever 21 and it was less than $15! i really loved your style of writing in this post. i can totally relate, i usually think to myself "i'll buy it and my mum can give me the money and it will be my christmas present", but then i just can't give it up! i hate christmas shopping anyway, i tend to try and be quite efficient, which is increasingly difficult when idiots just walk really slow or randomly stop, GAHHH! @ Nnenna: thanks for the tip off about the dress! I have always loved the look of Forever 21 and am very excited that it's come to the UK finally :) The coat you asked about is from ASOS and they do it in four other colours as well. @ Voodle: Ahhhh I hate those people who just stop in front you without warning! And people with pushchairs / strollers who try and cram them down the smallest aisles of the shop and block EVERYTHING. I ♥ online shopping too much!